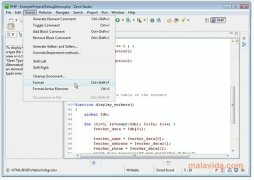 If you're a PHP programmer, Zend Studio will probably interest you, because thanks to this powerful PHP development environment you will be able to work a lot quicker and with greater efficiency. 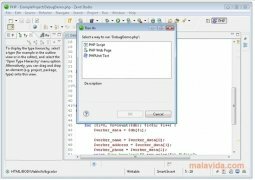 Zend Studio has been conceived so that any web developer can optimise the encoding of the applications developed and find it easier to maintain them. 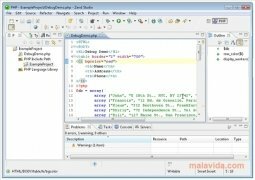 With these objectives, Zend Studio includes its own framework, known as Zend Framework, that makes it easier to create structures and generate code. 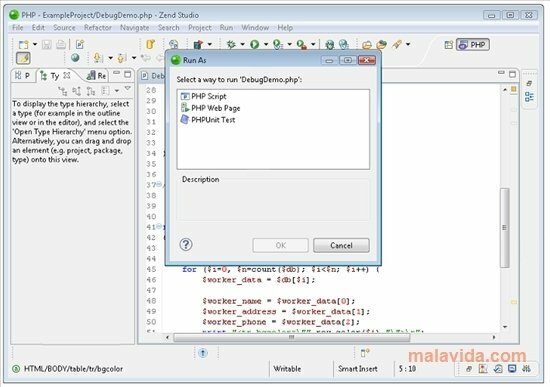 Zend Studio is completely compatible with PHP 5.3, including its most advanced features. Furthermore, the application's own engine marks the code errors and fixes the most common ones without having to do anything. Improved team collaboration with shared project settings and configuration management (CVS, SVN). 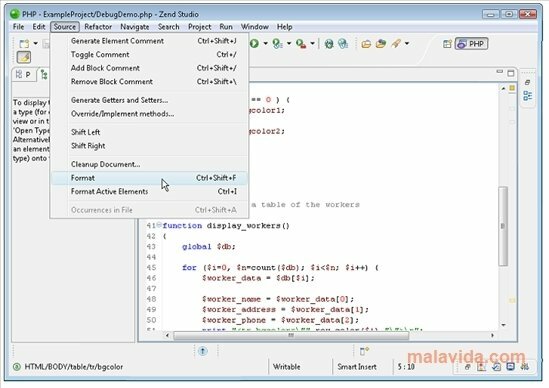 All in all, Zend Studio is one of the most complete and versatile development environments that you can find, compatible with PHP 5.3 and with many help functions that improve productivity and simplify code development.